As an independent, self-publishing author it is hard to get noticed. Give your book a head-start with an eye-catching book cover design that looks professional, grabs attention and ultimately helps to sell your work. 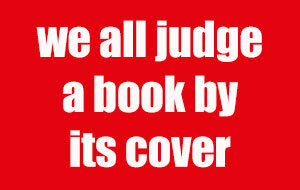 A good cover design is the most important step in marketing your book. And the process is easier than you might expect. I have worked with self-publishings authors for 15 years and designed hundreds of book covers. Many have been featured at the London Book Fair over the years. Be it for Amazon’s Create Space, Lightning Source or your local printer, your cover is in good hands with me. Just a few easy steps to your cover. Paying for a professionally designed cover is the best investment you can make for your book. Book cover designs for all platforms: Kindle, Amazon, Createspace, Feedaread, Smashwords, Lulu, Nook, Kobo, iBookstore, Bookbaby and more.